In what many states are trying to do in two years, Illinois is trying to do in one. They goal is to cut $2.7 billion from their Medicaid spending budget next year. The State Journal Register states that their initial plan is determine eligibility of participants, and remove those who don't qualify; rescind services that aren't required by the law and reduce the rates of doctors who service Medicaid. The is acknowledgement form the government that cutting spending by that much in one year will be difficult, but they will proceed with their plan. "But we’ve gotten to the point where, despite the difficulty, we must try to make the program sustainable in order to keep providing other government services that are just as essential." At the Medicaid Managed Care Congress this April 30-May 2, 2012, Pennsylvania, Nebraska, Georgia and Texas will be participating in the State Medicaid Directors Panel: Overcome State Budget Crises addressing the same issues that Illinois and many other states are missing. As a reader of this blog, when you register to join us and mention code XP1725BLOG, you'll receive 25% off the standard rate. What do you think? 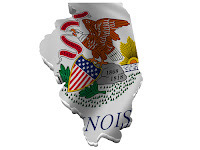 What will be the biggest challenges to Illinois for cutting $2.7 billion from their Medicaid budget in one year?